Jeri here, and I have Christmas on my mind all year! I get most excited about making all the cards, tags and packaging myself. Here is a Gift Tag I made using the Juniper Berry I Want It All Bundle by Basic Grey from FotoBella. 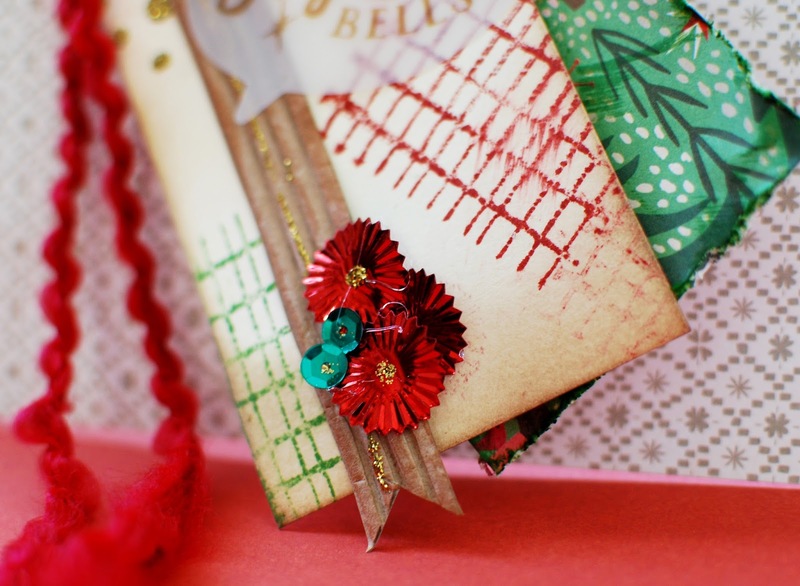 Along with the paper, large sequins, die-cuts and pre-made tag that come with the bundle, I added this fun fluffy ribbon from the FotoBella Fiber & Embellishment Pack. I stamped the tag with Prima Marketing Net & Wire Stamps and some Tim Holtz Distress Inks. I topped it off with some Gold Stickles for some sparkle. 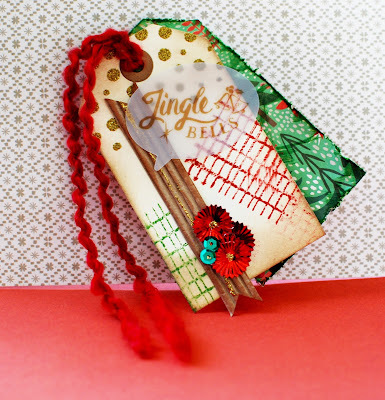 Have you started your Holiday Tag making?